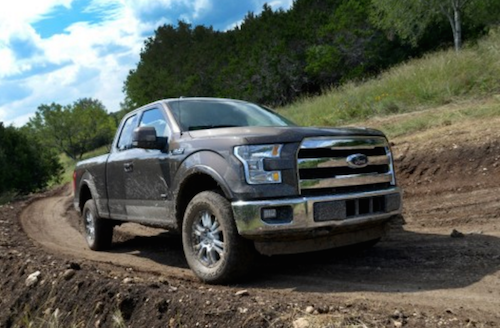 See the top safety rated Ford F-150 trucks in San Francisco, CA. This year’s Insurance Institute For Highway Safety (IIHS) top safety pick award for large pickups, has been awarded to the 2016 Ford F-150 Supercrew and Supercab trucks. Ford can add this new award to the list of safety accolades the F-150 is rapidly collecting. These include the National Highway Traffic Safety Administration (NHTSA) five-star rating for driver and passenger for all crash test modes and cab configurations. Built with high-strength steel in the frame and military-grade aluminum alloy in the body structure, the Ford F-150 can roll with the punches. Although stronger, the F-150 body is up to 700 lbs lighter with allows it to deliver best-in-class rating for towing, payload and EPA estimated fuel economy. Over thirty safety-related innovations have been built, tested and incorporated into the new 2016 Ford F-150. The body structure now includes innovations such as nylon hinge pillar reinforcements, specially designed wheel blockers and a patented extruded aluminum roof crossmember to help improve crash resilience and durability. Towne Ford is pleased to offer a wide selection of new 2016 Ford F-150 Supercrew and Supercab trucks including many Supercrew and Supercab trucks. If you would like to test drive one of these top safety rated Ford trucks in the San Francisco Bay area please contact our Ford Dealership.